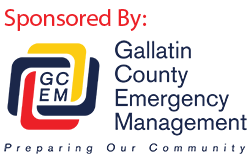 On May 4, 2014, just after midnight, the Gallatin County 911 Center received a call from a woman who reported that her friend, a 21 year old Bozeman man, was several hours overdue from an all day hiking trip in the Bridger Mountains. A deputy made contact with the woman and learned that the man had intended to hike from Fairy Lake to the M Trailhead. He had begun early in the morning on May 3, and had spoken with the reporting party in the early afternoon on a cell phone from near Sacajawea Peak. He had been in good spirits, but had made very little progress along his intended route. No further contact had been made, and the cell phone was apparently turned off, or the battery had died. The man was said to be an avid outdoor recreationalist and in good physical condition, but it also became apparent that he was totally unprepared for undertaking this kind of trip during spring snow conditions in the mountains. A deputy located the man’s unoccupied vehicle still parked on Fairy Lake Road. Sheriff’s Search and Rescue was activated, with some members deploying to check area trailheads for any sign that the man had hiked down, and others evaluating additional options for the safest and most effective way to locate and reach the missing man. Summit Air Ambulance was contacted, and their helicopter launched from Bozeman Yellowstone International Airport. Using their night vision capability, the Summit Air crew very quickly spotted the man’s headlamp along the Bridger Ridge, in the area of Sacajawea and Naya Nuki Peaks. After carefully selecting a landing zone, Summit Air was able to touch down on the ridge and pick up the man at 3:28 AM. He was transported to the Gallatin County Fairgrounds, where his friends were waiting. Aside from superficial cuts and scrapes, the man was uninjured, and he did not required medical treatment. Sheriff Gootkin reminds those venturing into the mountains during this time of year that there is simply no substitute for proper experience and equipment. Deep snow, avalanche danger, and rapidly changing weather conditions are only a few of the hazards which are likely to be encountered. Additionally, precautions such as traveling with a partner, being prepared to stay overnight, notifying someone of your specific plans, and having a reliable means of communication, can prevent an adventure from becoming a nightmare.